The Gotoh BB-04W double battery box fits two 9V batteries, when changing the battery, the holder tilts the battery up, out of the guitar giving good access to the battery and allowing quick and easy changes. 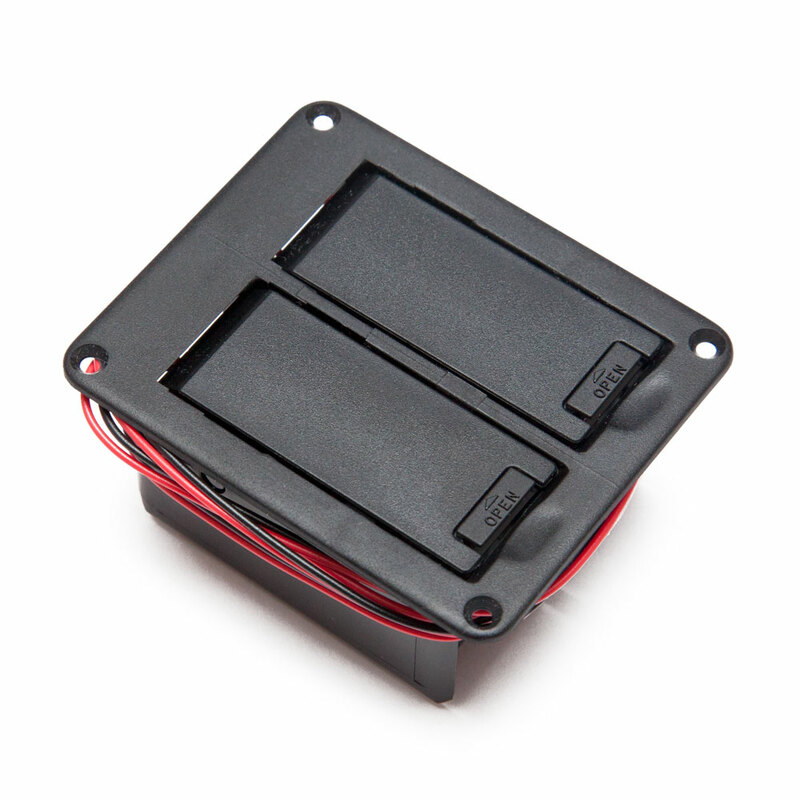 It comes with built in connection terminals and 1 set of lead wires per battery allows for 18V series or 9V parallel wiring, or even routing the batteries to separate circuits (e.g. 1 for the pickups, 1 for a piezo pre-amp). The battery box mounts to the guitar body with screws (included).